Waterfowl numbers took another dip in recent days, though overall diversity remained above-average for the end of April. An exceptionally late Tundra Swan continued to linger at CMPSP/SCMM through at least 24 Apr (m. ob.). Other tardy waterbirds included an American Wigeon at CMPSP through the period (m. ob. ), 4 Lesser Scaup at CMP 23 Apr (m. ob. ), and a Red-necked Grebe at Nummy Island 18 Apr (AC). Northern Gannets were again obvious from CMP and the Atlantic Coast through the week, though numbers have decreased since about 20 Apr. Double-crested Cormorants moved north in strong numbers, highlighted by 8500+ from CMP 22 Apr (m. ob.). Migrating Common Loons were again noted every day, with an unprecedented high count of 364 tallied from CMP 22 Apr (TR, GDa et al.). There were several Cattle Egret reports, including 5 along Route 9 in Swainton 23 Apr (CM). Rare but annual in spring, an adult White-faced Ibis put in at least two appearances at Jake's Landing 19–20 Apr (TR, SR). 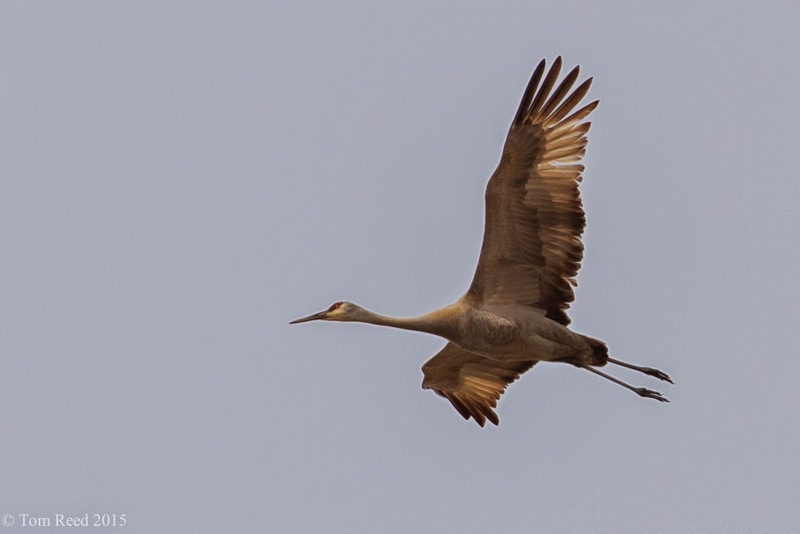 Strong westerly winds likely played a role in the appearance of 2 Sandhill Cranes over CMP 24 Apr (TR, KL, m. ob.). The birds were last seen departing the Rea Farm/Beanery toward the north. The Hereford Inlet area continued to host at least 8+ Piping Plovers through the period (m. ob.). Following the previous week's Upland Sandpiper reports, two individuals were discovered at the southeast end of Sumner Avenue, Woodbine 18 Apr (m. ob.). A single bird was noted at the same location 21 Apr (fide Keekeekerr). There were multiple reports of Caspian Tern, an uncommon spring migrant, including 2 at CMP 23 Apr (m. ob.). A record early Least Tern appeared at CMP 18 Apr (TR et al. ), and two more arrived 22 Apr (m. ob.). More expected was the year's first Common Tern at Sunset Beach 20 Apr (DLP, TR), along with the first Black Skimmer at CMP 21 Apr (VE). Strong northwest winds and unusually cold temperatures delivered a major influx of swallows to Cape Island 24 Apr, including estimates of 2000+ Tree Swallows, 1200+ Barn Swallows, and 100+ Cliff Swallows at CMP (m. ob.). An overnight change in wind direction created a fallout of Yellow-rumped Warblers during the morning of 19 Apr, including 750+ at CMP (VE, TR et al.). Though conditions were largely unfavorable for migration through most of the period, a few more songbirds arrived, such as Baltimore Oriole at the Stone Harbor Bird Sanctuary 20 Apr (GDw), Orchard Oriole near Green Creek 21 Apr (SG, SW), and Blue Grosbeak at Hidden Valley 22 Apr (SR). Alan Crawford (AC), Glen Davis (GDa), Gail Dwyer (GDw), Vince Elia (VE), Sam Galick (SG), David La Puma (DLP), Karl Lukens (KL), Christina Marks (CM), Mike Pasquarello (MP), Tom Reed (TR), Steven Rodan (SR), Sam Wilson (SW). eBird. 2012. eBird: An online database of bird distribution and abundance [web application]. eBird, Cornell Lab of Ornithology, Ithaca, New York. Available: http://www.ebird.org. (Accessed: 25 April 2015). Fogg, B. 2013. Keekeekerr: Recent Text Alerts. Available: http://keekeekerr.com/textalerts/keekeekerr. (Accessed: 25 April 2015). March can be a real drain on the patience of a Cape May wildlife watcher. Winter is over but spring still seems a long way off, and the daily changes can be so subtle that if you are watching every day they can pass you by almost imperceptibly. This spring, April seems not to have been much better than March, as winter’s grip has been difficult to release but, having been soldiering on through office work for several weeks, a window of opportunity gave me an insight into what is happening in the great outdoors recently. Nature is nothing if not chaotic and yet, at the same time, there is a distinct order about it all. While the onset of spring can vary from year to year, largely according to local weather trends, it always amazes me how much of nature is synchronized so well, such that – by early May – it all seems to come together so perfectly. The gradual increase in day length brings on breeding behavior in our resident and wintering birds, causes the onset of many spring flowers and plays a part in a gradual warming of the region. This warming, in turn, initiates more spring activity from insects, with the whole coming together to produce a vibrant wealth of excitement that is May in Cape May. Taking a leaf from nature’s book, CMBO’s spring program gears up right on time and in synchronization with the seasons too. 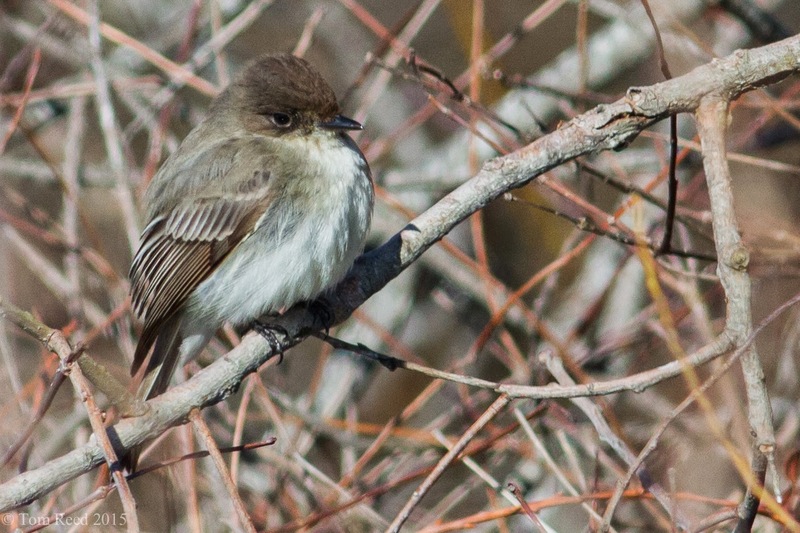 Our weekly walks are finding ever more good birds to enjoy right now and, as we head into early May we will all be gearing up for the World Series of Birding. If you have ever enjoyed the wonderful wealth of wildlife that is Cape May in spring, or if you want it to be here for future generations to enjoy, you might like to consider donating to one of our awesome teams. It has never been easier to make a contribution – all you need do is go to the World Series of Birding page and click on the donate button. 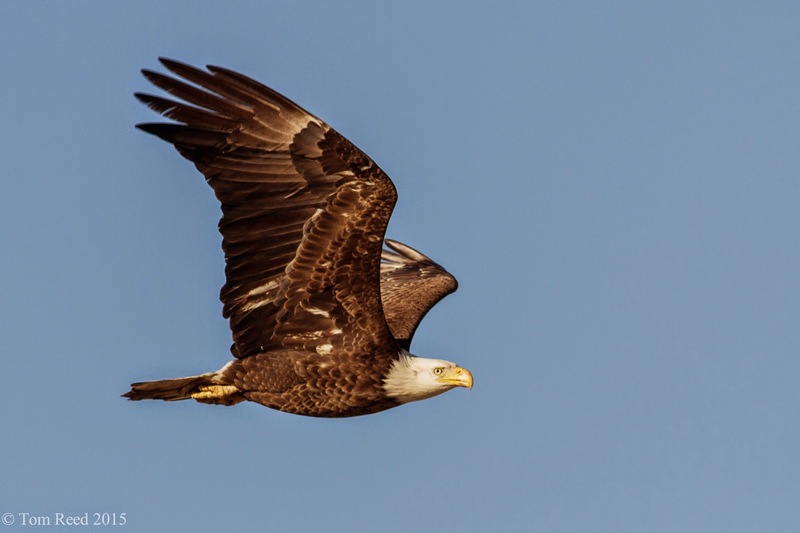 Your generosity, coupled with the excitement and fun of the day will spur on our teams and help to raise important funds that help to support New Jersey Audubon’s research, conservation and education programs. As with nature, together we make it better! Looking slightly further ahead, the perfection of nature’s timing comes together in late May to produce one of the finest of natural phenomena in North America – the annual spawning of horseshoe crabs on Delaware Bayshore beaches. Nature’s chaos and nature’s order come together again here, as long-distance, migratory Red Knot, Ruddy Turnstones and Semipalmated Sandpipers show up right on time to benefit from the short-lived riches, riches that in turn will sustain them until they reach high Arctic breeding grounds in June. This natural exuberance will be taking place during our Cape Maygration Spring Birding Festival at a time of year when many other migratory birds will be passing our way and local breeding birds will be busy in the forests, back bays and beaches of Cape May. If you’ve never been to a Cape May spring weekend, give it a go this year, it truly is an inspiring time to be out and about and witnessing spring’s jigsaw of pieces coming together! Spring brings so much after the cold days of winter. Though the first butterflies of the year you see may well be those that have overwintered as adults, by mid-April the year’s first truly new species will be emerging and the stunning colors of an American Copper can brighten up many an April day. ...plenty of swallows and martins. Right now, you can see an abundance of Barn, Tree, Cliff (above) and Northern Rough-winged Swallows, Purple Martins and Chimney Swifts feeding over the ponds of Cape May Point. Small insects bring larger insects to feed on them and, in turn, these larger insects provide food for larger migratory songbirds. Eastern Kingbirds are in town now and mark the start of the major push of neotropical migrants. While late March and early April see a mass of color from our flora of introduced plants, late April is the time to start looking for native plants. In 2010, we logged the first ever records of the wonderful Tiny Bluets in New Jersey. A southeastern plant, this species appears to be spreading its range northward and this year, my wife, Megan, became the third member of the exclusive club who can claim to have found new sites for this species in Cape May County and we now have 14 locations for this plant in Cape May. While staring at the ground for signs of spring, don’t be afraid to flip over the odd piece of roadside trash now and again (I wonder if we will ever live in a world where people fully respect the environment?) for these can be good places to find the first reptiles of spring. Eastern Worm Snakes are widespread and common but seldom seen as they spend much of their time hunting in the soil. But the warmth of spring will get them active and worth looking for right now. And of course, signs of spring are everywhere now. Our boat trips on the back bays with the Osprey and the Skimmer give excellent opportunities to enjoy spring migration. Double-crested Cormorants never look better than in April and May, when their breeding crests are ruffled by the wind and their bottle-green eyes catch the spring sunshine. Location Abbreviations/Explanations: BSF (Belleplain State Forest), CMP (town of Cape May Point); CMPSP (Cape May Point State Park); Rea Farm ("The Beanery," West Cape May); WMA (Wildlife Management Area). Snow Geese have essentially cleared out of the peninsula; the period's only report was of a single at the Rea Farm 4 Apr (fide eBird). Two Tundra Swans remained at CMPSP until at least 7 Apr, a relatively late date (m. ob.). Daily migration monitoring at CMP continued to produce increasing numbers of Surf Scoter, Black Scoter, Red-throated Loon, Northern Gannet, and Double-crested Cormorant (m. ob.). Recent high counts included 482 Double-crested Cormorants 5 Apr, 289 Red-throated Loons 6 Apr, and 1,309 Northern Gannets 7 Apr (TR et al.). The first Green Herons arrived this week, with sightings at Cox Hall Creek WMA 5 Apr (DF) and CMP 9 Apr (CB, MP, TR). The first Cattle Egret was detected at West Cape May 10 Apr (DC, MP, m. ob.). Both Tricolored and Little Blue Herons were reported in the vicinity of the Wetlands Institute/Stone Harbor Boulevard through the period (m. ob.). Northbound Osprey were again noted most days (m. ob. ), and the immature Northern Goshawk put in another split-second appearance at West Cape May 8 Apr (LZ). Rare at any season, a Sandhill Crane surprised birders at Cape Island 4–5 Apr (m. ob.). The species has now occurred during April in five of six years, starting with 2010 (fide eBird). It has been a poor spring to find Little Gull locally; an immature flew north past CMP 5 Apr (DLP, TR). Black-headed Gull apparently went unseen this week. There were also no reports of CMP's Eurasian Collared-Dove. Songbird migration suffered from a lack of favorable conditions, though some minor movements took place (e.g. 20+ Pine Warblers at CMP, 4 Apr). The week's list of arrivals included Chimney Swift at the Rea Farm 7 Apr (BB), Ruby-throated Hummingbird at Cape May Court House 6 Apr (DA, JA), Eastern Kingbird at CMP 10 Apr (MC, TR), Blue-headed Vireo at BSF 10 Apr (TR), Black-and-white Warbler at BSF 7 Apr (KH), and Northern Parula at CMP 6 Apr (MP). Notably early was an American Redstart singing at the South Cape May Meadows 10 Apr (SW). Dolores Amesbury (DA), Jesse Amesbury (JA), Barb Bassett (BB), Catherine Busch (CB), Dan Ceravolo (DC), Mike Crewe (MC), Don Freiday (DF), Kathy Horn (KH), David La Puma (DLP), Mike Pasquarello (MP), Tom Reed (TR), Scott Whittle (SW), Louise Zemaitis (LZ). eBird. 2012. eBird: An online database of bird distribution and abundance [web application]. eBird, Cornell Lab of Ornithology, Ithaca, New York. Available: http://www.ebird.org. (Accessed: 10 April 2015). Fogg, B. 2013. Keekeekerr: Recent Text Alerts. Available: http://keekeekerr.com/textalerts/keekeekerr. (Accessed: 10 April 2015). Daily monitoring at CMP this week produced steadily increasing numbers of Surf Scoter, Black Scoter, Red-breasted Merganser, Red-throated Loon, and Double-crested Cormorant (m. ob.). Notably late lingerers included 2 Tundra Swans at CMPSP through the period (m. ob.) and 6 Redheads at 81st St., Stone Harbor through at least 1 Apr (SG et al.). Red-necked Grebes remained in the news, headlined by 5 seen from CMP 2 Apr (MP, TR et al.). An obvious arrival of Northern Gannets overtook CMP 30 Mar, with 459 tallied in two hours; 542 were recorded there 3 Apr (m. ob.). The year's first Yellow-crowned Night-Heron was noticed at 44th St, Avalon 1 Apr (SG). A Little Blue Heron put in an appearance at Beaver Swamp WMA--a reliable site to find the species--1 Apr (CK), and a Tricolored Heron moved north past CMP 3 Apr (TR). Great and Snowy Egrets were finally reported on a daily basis; the Rea Farm/Beanery was home to 22 Great Egrets on 29 Mar (TR). Wild Turkey reports were filed from all corners of the county, including at least 1 still present at CMP through 2 Apr (m. ob.). 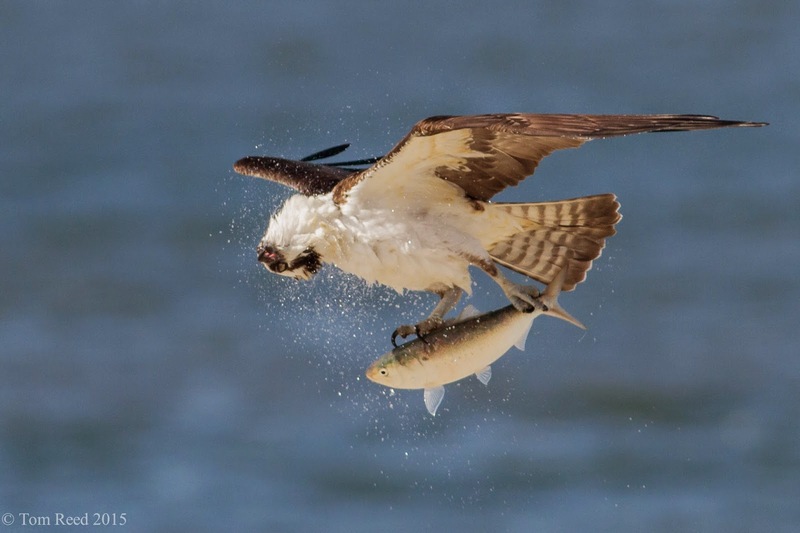 Osprey continued to arrive, with another noticeable influx 31 Mar–2 Apr (m. ob.). Many nesting platforms are now occupied along Atlantic coast salt marshes. Northwest winds helped produce a small movement of Red-tailed Hawks and Bald Eagles at CMP 1 Apr (m. ob.). American Oystercatchers and Piping Plovers continued to return to traditional breeding locations along the Atlantic coast (m. ob.). Rare as a spring migrant, an American Golden-Plover flew north past CMP during strong west winds 28 Mar (TR). Migrant Killdeer were again noted on a daily basis, with small flocks regularly passing north over Cape Island (m. ob.). The period's only Black-headed Gull report consisted of a single near the Ferry Terminal 3 Apr (BL). CMP's elusive Eurasian Collared-Dove was last reported along Harvard Ave 28 Mar (fide KL). Eastern Phoebes were conspicuous throughout the county during much of the week, with at least 80 reported from various locations 29 Mar (m. ob.). Swallows became more obvious during the second half of the period, with arrivals including Barn Swallow at the South Cape May Meadows (LS) and Goshen (WK) 31 Mar, followed by Northern Rough-winged Swallow at CMPSP 2 Apr (SH). Songbird arrivals included Louisiana Waterthrush at Higbee Beach WMA 29 Mar (SR), Palm Warbler at Dennis Creek WMA 31 Mar (TG), and Blue-gray Gnatcatcher at Corson's Inlet State Park 3 Apr (BS). Sam Galick (SG), Tom Gleason (TG), Scott Hinkle (SH), Will Kerling (WK), Chip Krilowicz (CK), Becky Laboy (BL), Karl Lukens (KL), Mike Pasquarello (MP), Tom Reed (TR), Steven Rodan (SR), Lauren Shaffer (LS), Brandon Swayser (BS). eBird. 2012. eBird: An online database of bird distribution and abundance [web application]. eBird, Cornell Lab of Ornithology, Ithaca, New York. Available: http://www.ebird.org. (Accessed: 3 April 2015). Fogg, B. 2013. Keekeekerr: Recent Text Alerts. Available: http://keekeekerr.com/textalerts/keekeekerr. (Accessed: 3 April 2015).